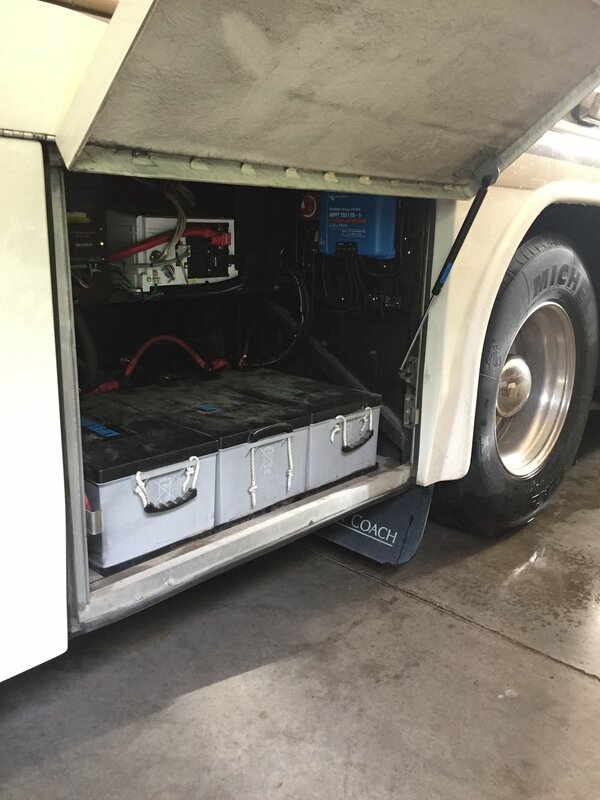 This client needed a power solar charging system with the potential to upgrade to a lithium battery bank. They got 960W of solar panels and a Victron charge controller with Bluetooth monitoring. This rig had already been equipped with 800 Watts of solar and a 2,800 Watt inverter from a previous install. Our long-time customers/friends changed out their AGM - 8D batteries after a little over 6 years of use for some fresh 12V, 255Ah AGMs.